You are here: Home » It’s not a girly dish…..really! Not girly at all, I assure you. It is very much like a quiche…..um…real men eat quiche. Not girly. As I was saying, it is like a quiche, but without the crust. Think of an egg and cheese pie with whatever vegetables you want to throw in. This go around, it was onions, red peppers, mushrooms and zucchini. You could very easily put in spinach, squash, jalapeno, kale, etc… You get the drift. So easy, and so satisfying. How can you not love anything with melted mozzarella cheese on it?!?!? A relative small list of ingredients. A bit of chopping to do. 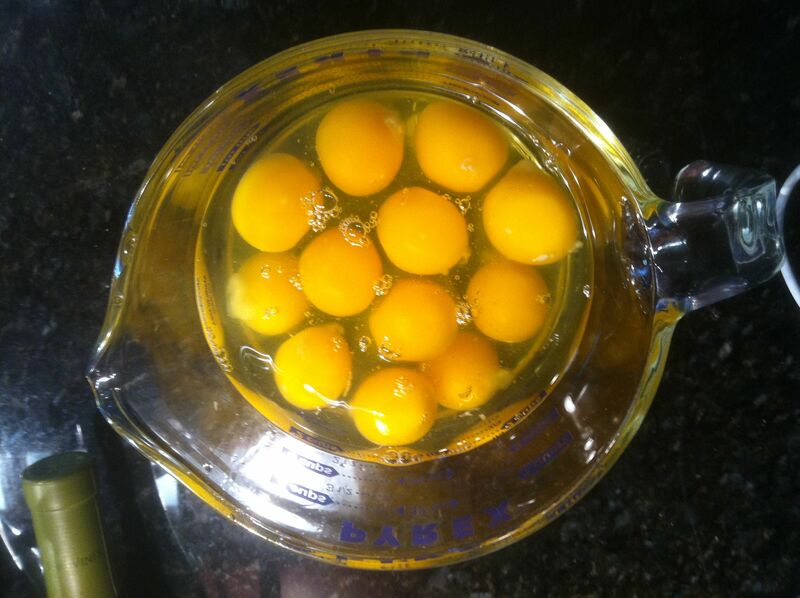 Crack a dozen eggs into a bowl. Egg beaters works just as well. Whisk the eggs with the ricotta. 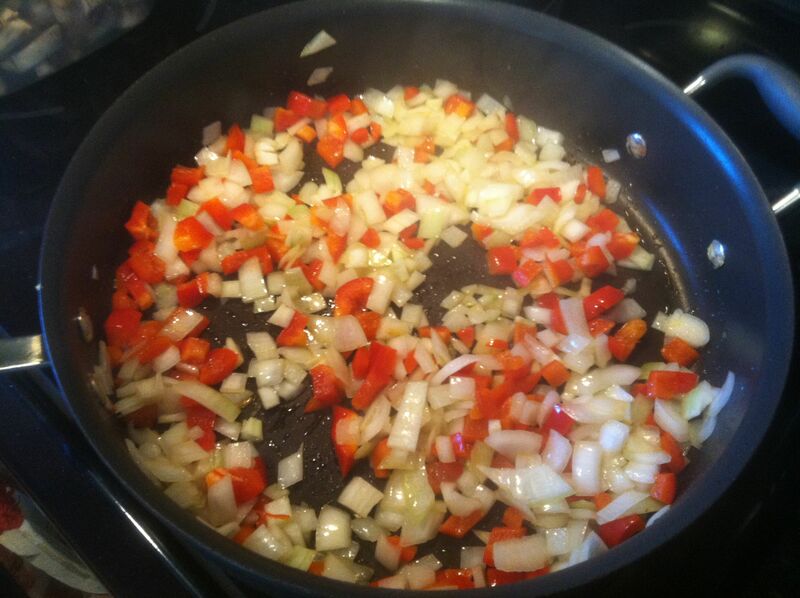 Saute the peppers and onions. Don’t rush this. You want the onions to have time and heat to cook well and just starting to become translucent. Throw in the rest, a little wine and some spice. It all comes together. You may be tempted to just mix this in the baking dish. 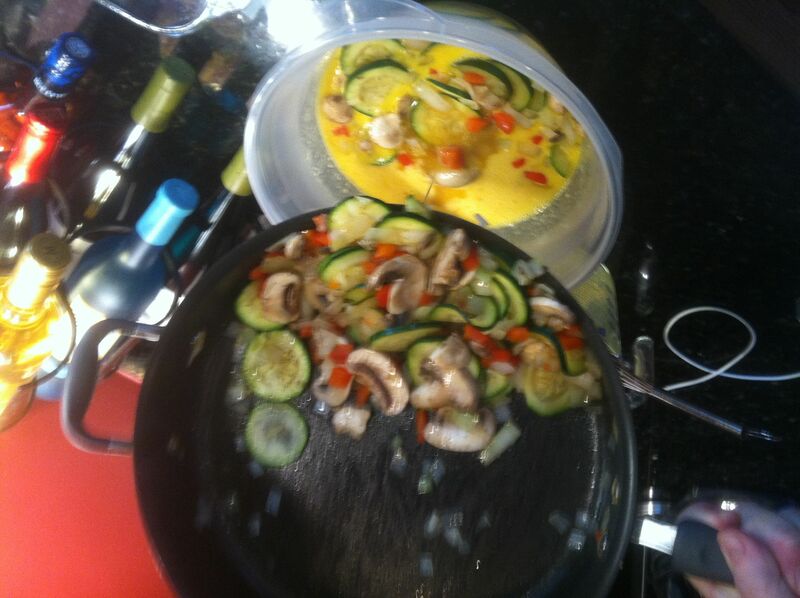 By doing it in a bowl, the vegetables separate and get coated on all sides by the eggs. If you don’t do this, you will likely end up with clumps of vegetables. 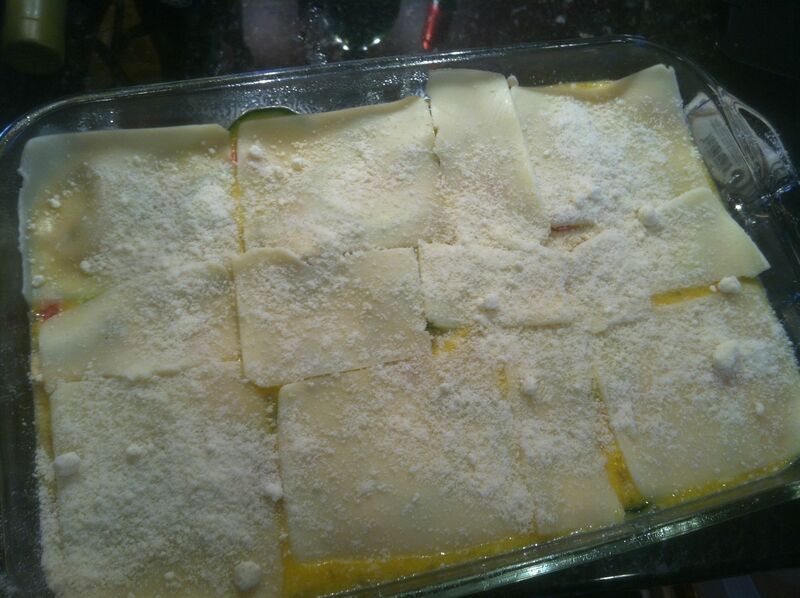 Cover with mozzarella and a little parmesan. Grease a 13″ x 9″ pan with 1 Tbsp. olive oil. In large frying pan, heat 2 Tbsp. Olive oil over medium heat. Add onion and red pepper and cook for 5 minutes until onions are soft and slightly browned. 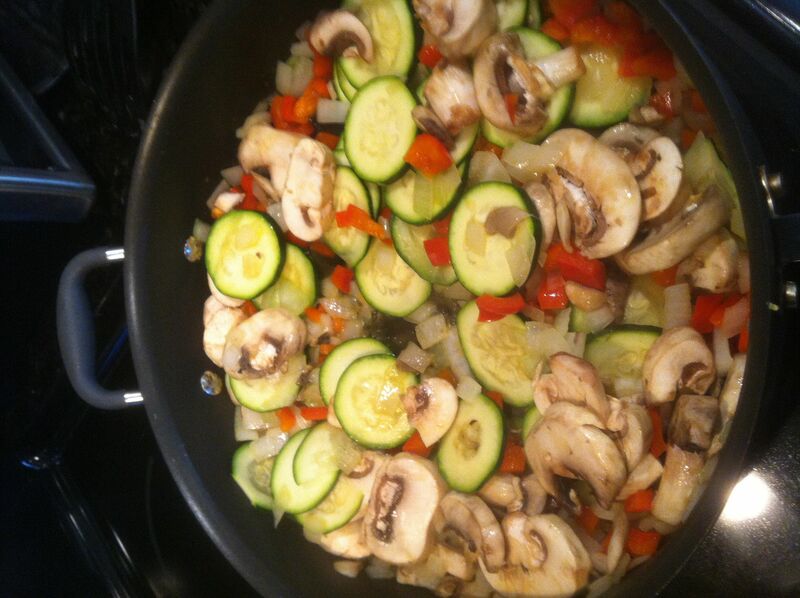 Add zucchini, mushrooms and wine and saute until zucchini is soft and wine has evaporated. Add salt and pepper. 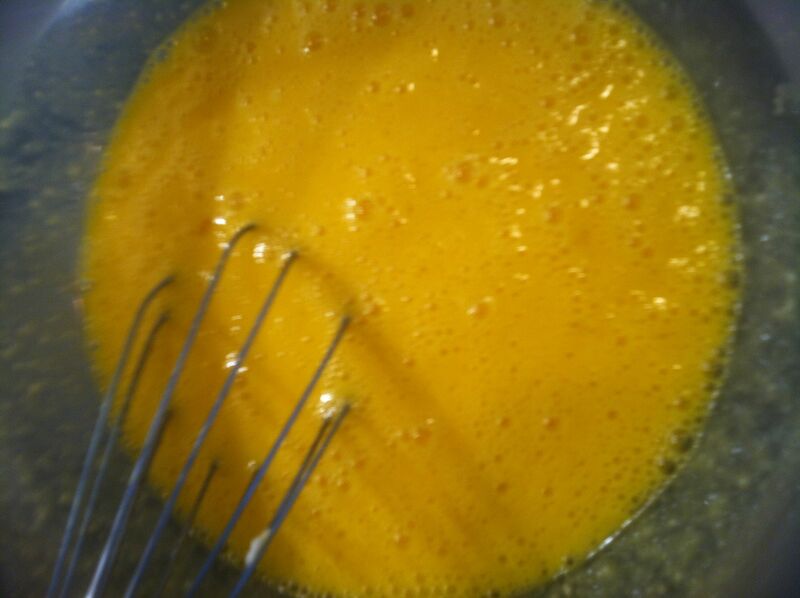 Whisk eggs, add ricotta, and whisk together until smooth. Stir in vegetables. Pour frittata into pan. Top with sliced mozzarella and sprinkle with parmesan. Bake for 20 minutes, or until set. Serve immediately. You are correct, this is not a girly dish. Great combinations to start off a day. Pat, this is a lovely dish. I have always wanted to try making a frittata and I am vegetarian so this is perfect. Any suggestions on what you can serve this with and at what time of day? 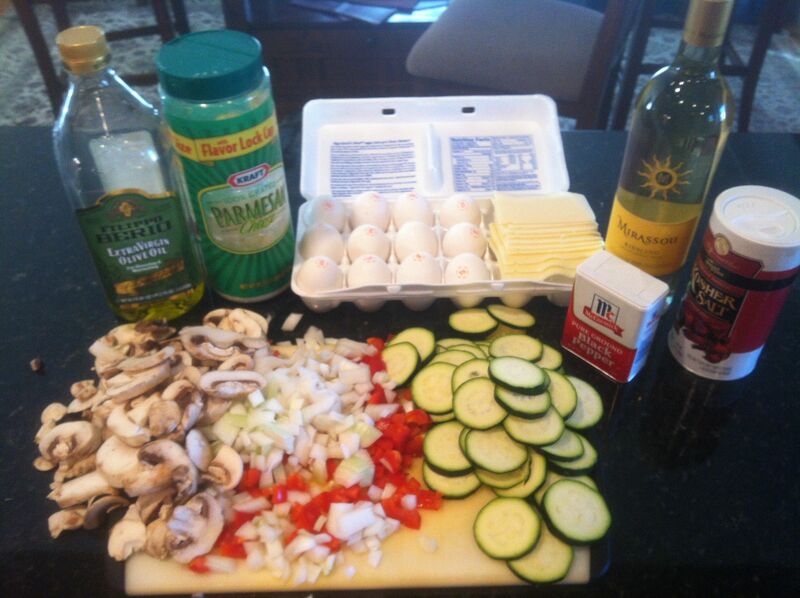 I am thinking a nice simple salad for lunch or dinner – nice glass of wine. I hope you don’t mind, I am going to reblog it, its too delicious not to share. The beauty of this dish is it works for breakfast, lunch or dinner. I’ve made it for all three. well played, Ranting Chef:-) The ricotta and wine are brilliant additions. You have a lucky household this Sun a.m.
Not girly at all…maybe womanly..no very macho. Yummy. 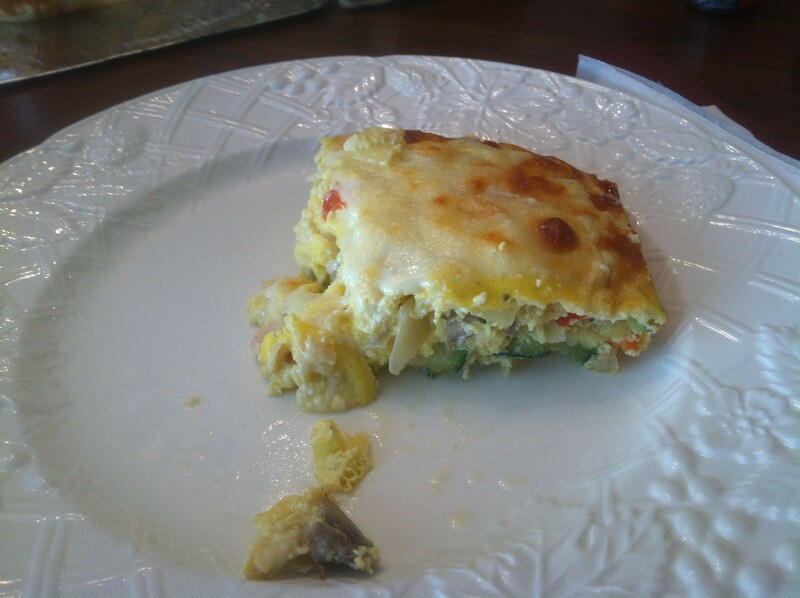 Another fritatta fan! Your version looks yummy! I am a huge fritatta fan! Hakuna Frittata! I have to try this now. We love to make frittatas for a weeknight meal. I haven’t seen it in a pan. 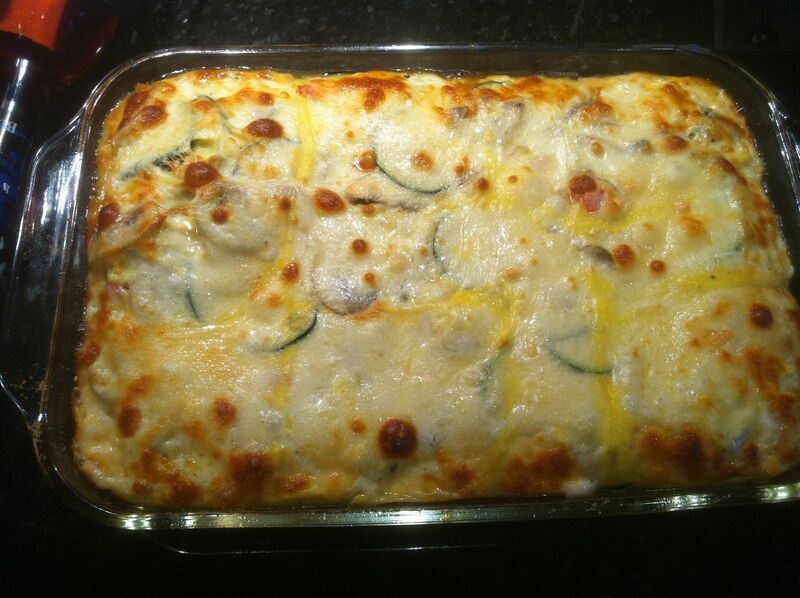 We make a zucchini mozzarella one right on the stovetop. Looking forward to reading more if your posts. Eggs? Cheese? PIE you say? This looks really yummy. I think im going to tey something like this, but put them in muffin formd to make easy to -go servings. Thanks for the idea! Nothing beats a good frittata – except maybe eggs Benedict. I ate eggs Benedict this morning. My stomach just made sounds! Lol! O M G – that looks absolutely amazing!!!! Great post, thanks for sharing. But I would have to add some heat…maybe some red pepper or chipotle or something. Wow……this is superb! It’s eggs-tra-special! I can’t wait to try this recipe. I love all your ingredients, but can see that it could adapt to “what we have on hand ingredients” too. Thanks for a great post. And thanks for the visit to my blog! Eggs plus cheese equals you’d have to be non-human entirely not to like it unless you’re seriously allergic. Just sayin’. It is funny what you wrote about how Sundays are the breakfast making day…I wrote a post in the same regards of how Sunday is always the day to make breakfast…except I made Waffles!! My Sunday delight wasn’t as healthy 🙂 but still yummy! This looks amazing. I’d love to try to make this. I’ve always been interested in making a frittata but never had found a recipe that I liked. I love this and I can’t wait to try to make your creation! Ooh your frittata looks devine! Good tip about mixing all the beg in the bowl with the eggs so it gets coated on all sides – will remember that the next time I make one! This recipe looks delicious as does many others on your blog! Thanks for stopping by my blog – as I’m sure you can tell I am just beginning this adventure in the food creation and blogging and looking forward to it! Just like my dad used to make, only better (don’t tell). Can’t wait to try the mozz and parm on top! I’m going to substitute Rice Cheese for the mozzarella and parmesan so I can try it! Thank you. That Frittata looks absolutely delicious and I can’t wait to make it myself!! !